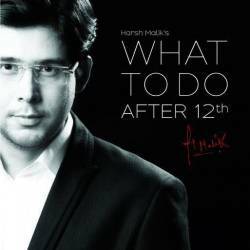 Scholar Talks offers a book named WHAT TO DO AFTER 12th, online career counselling, career guidance after 12th, career options after 12th, online & personal counseling session with Mr. Harsh Malik. We are offering consultancy services for students wishing to pursue higher education in varied fields. We provide an top professional courses, scholarship, abroad study, education loan, entrance exam, top college and universities registering with us. We continuously believe in providing professional services to students, parents and our institutional clients at all times. We offer you the basis for guaranteed success in your studies.